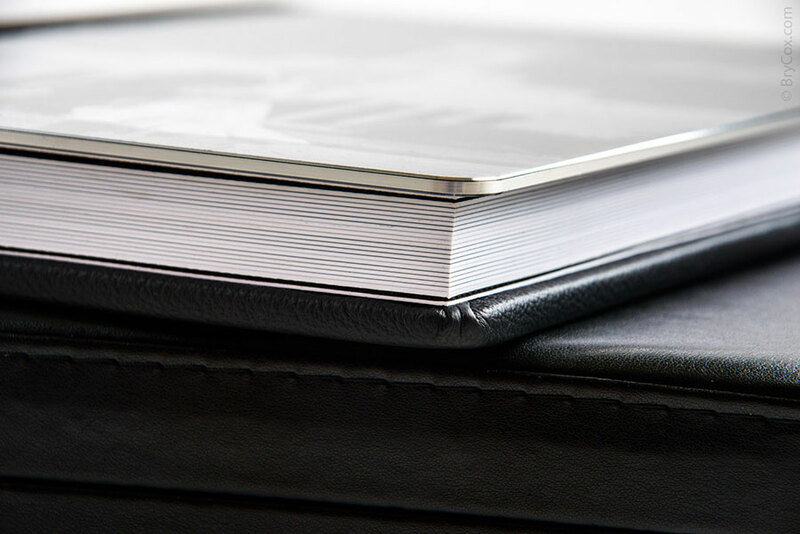 Physically printed albums, especially for weddings, are a lost art. That’s why I love creating these amazing pieces for my clients – albums that will be heirlooms that future generations will fight over. I have been winning awards for years with my wedding albums, and today Matt and Treva’s wedding album is finished and ready for delivery. Here is a video showing off their album, and below are some close-up details of their finished heirloom book. 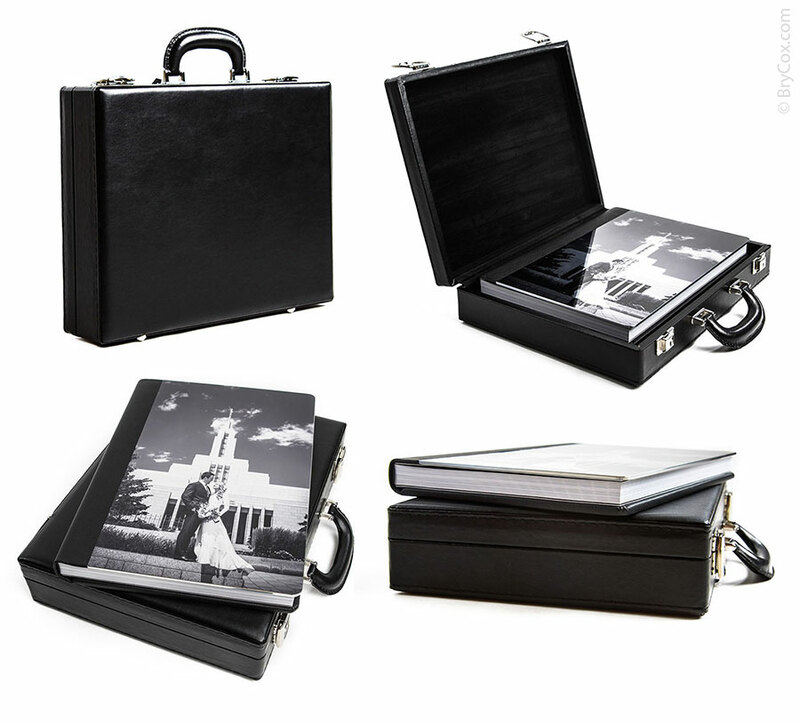 Every one of my wedding collections include a custom made album with a perfectly-sized briefcase for protection and transport. 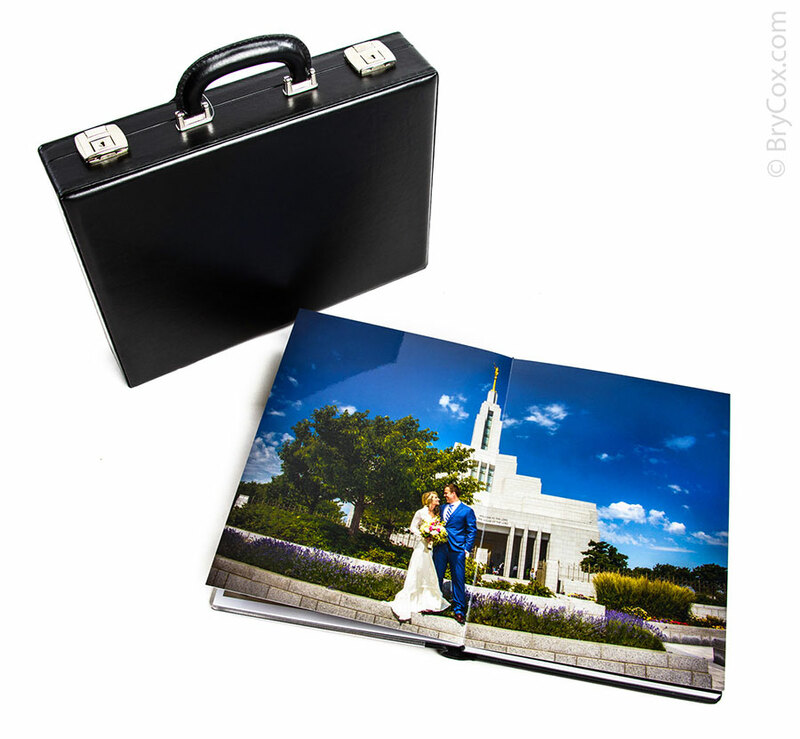 Matt and Treva chose the etched and polished metal cover, which has immediate impact when the briefcase is opened. 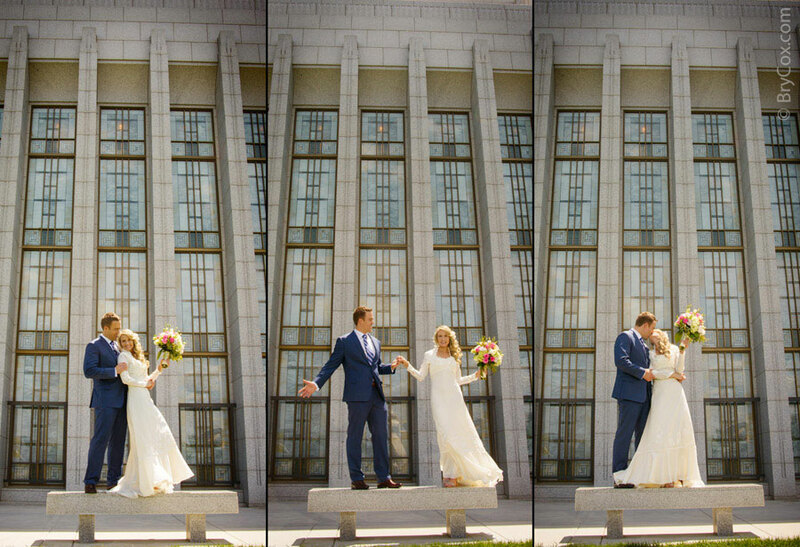 Their wedding was at the Draper LDS Temple in Utah, and this double-page spread shows the impact of large, beautiful images. 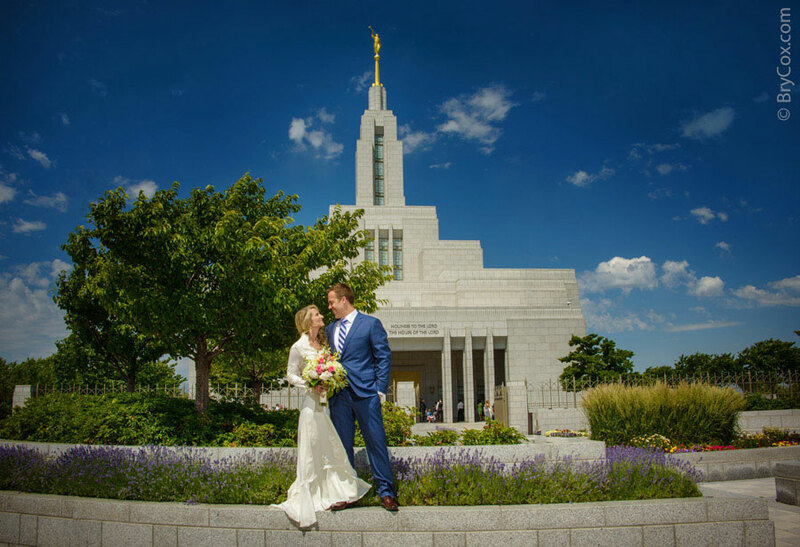 You can see more of their wedding images in the previous blog post. And hopefully with these two posts together you can see the difference in quality, attention to detail, and artistic level of both the photography and the physically printed album. Lots of brides lately like to shop on their phones rather than meeting in person, but my work really does need to be appreciated in person. 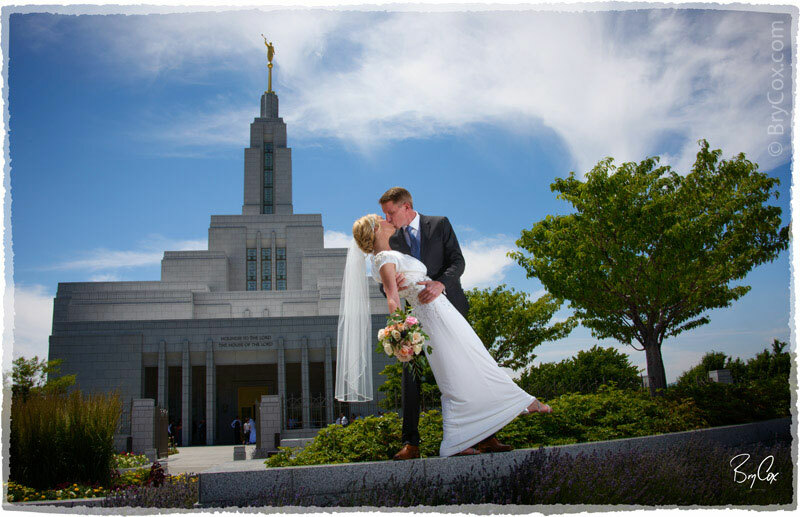 So I hope these images and video can better help all of you to see some of the reasons I’m one of the top, award-winning photographer in Utah. If you’re getting married, give me call. 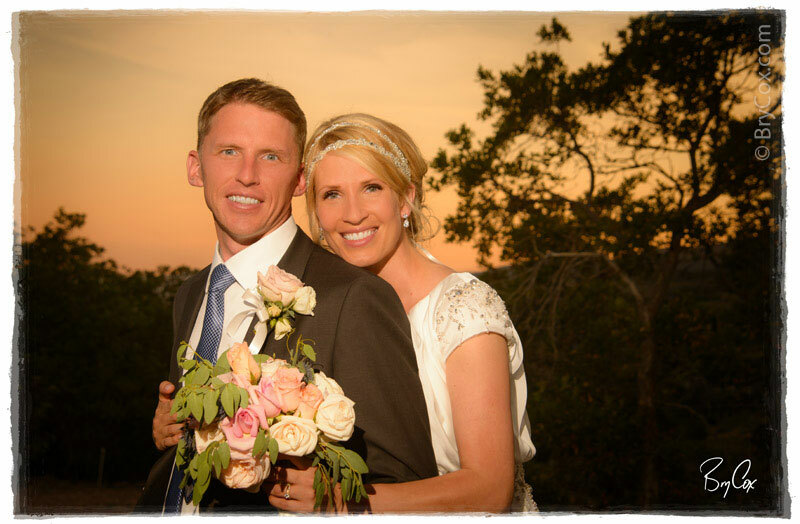 I’d love to talk more about your dream wedding day and what you’d like for your photography. And I’d love to create an heirloom album like this for you. 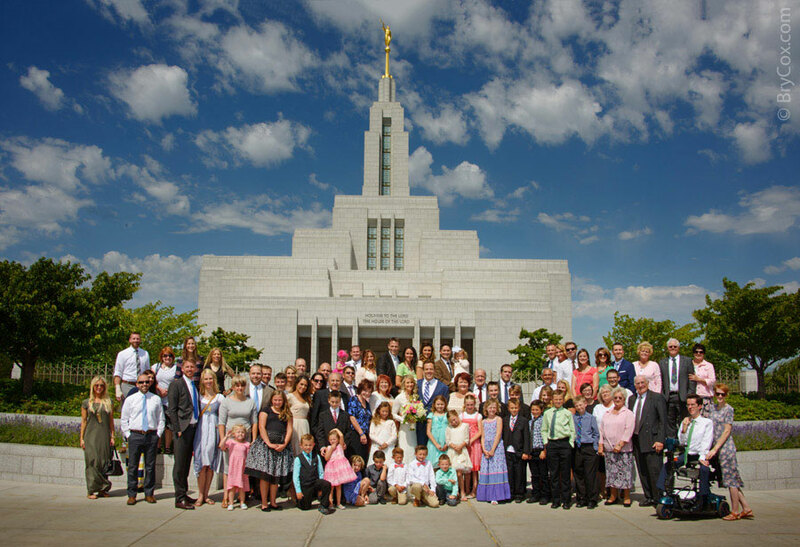 Give me a call at 801-728-3317. 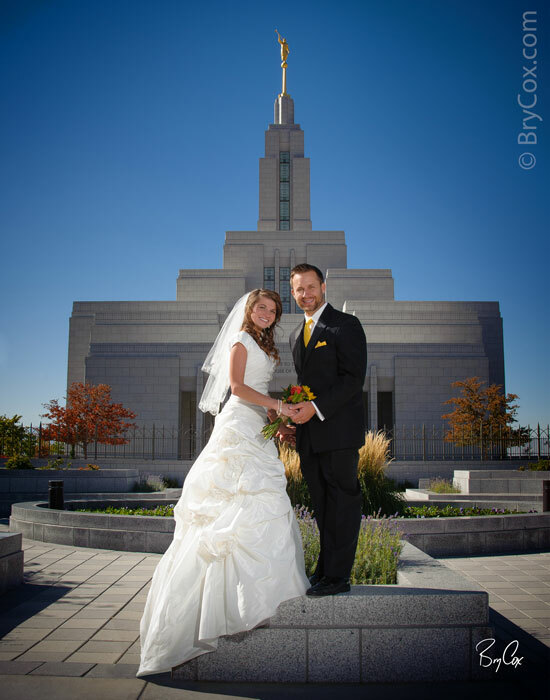 Last weekend I photographed Jessica and Cory’s wedding at the LDS Draper temple. It was a beautiful sunny day, …in fact very hot at 100º. 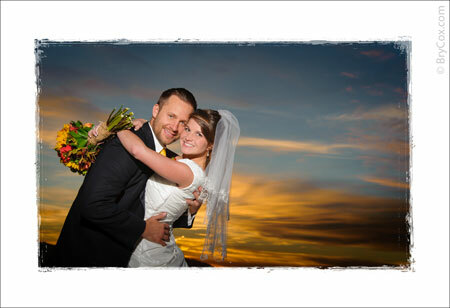 The sky was blue, we had great clouds for a dramatic background, and Jessica and Cory were great together. All that together meant that we created some wonderful images for their upcoming wedding album design. Here are some of my early favorites. 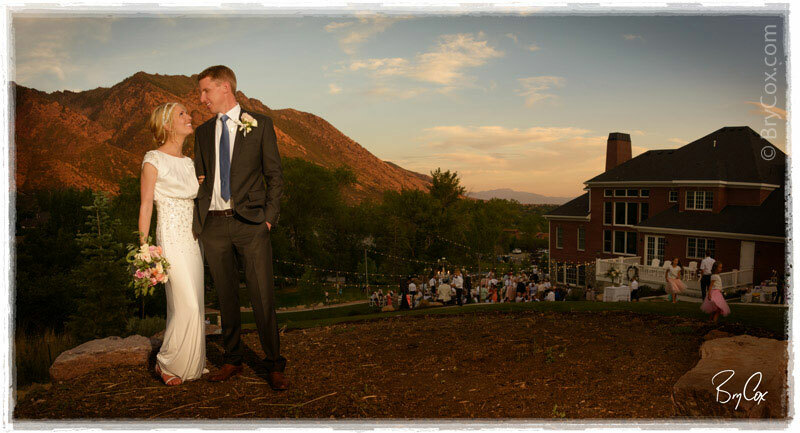 The reception was held outdoors at a beautiful home in Alpine, Utah. We had a great view of the mountains and the sunset. The party below wend on into the night as the couple’s closest friends came and enjoyed the music and the wonderful night. 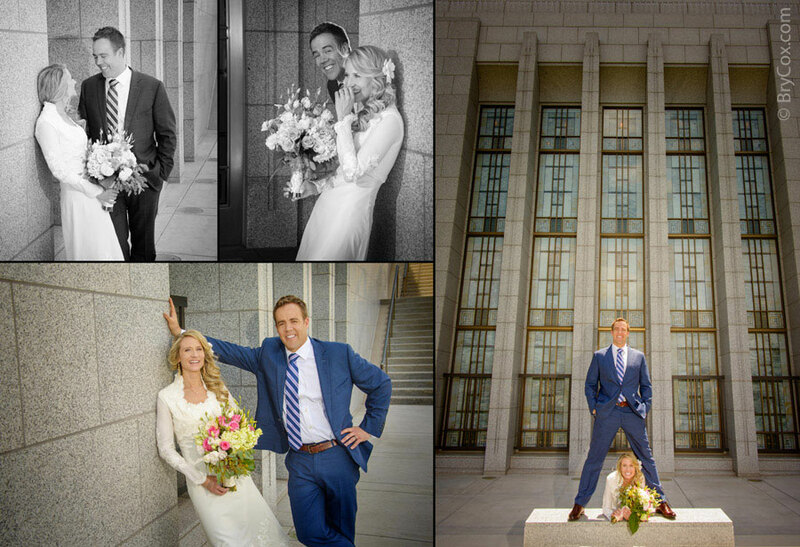 If you’re getting married, I’ve got a video and other info showing why my work is so different. 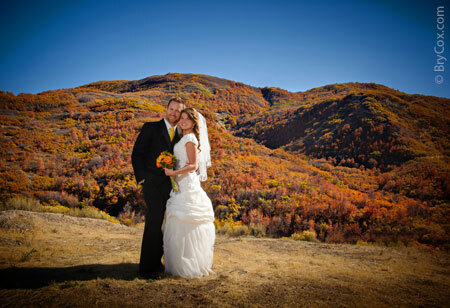 And give me a call at 801-728-3317 and let’s talk about your dream wedding. 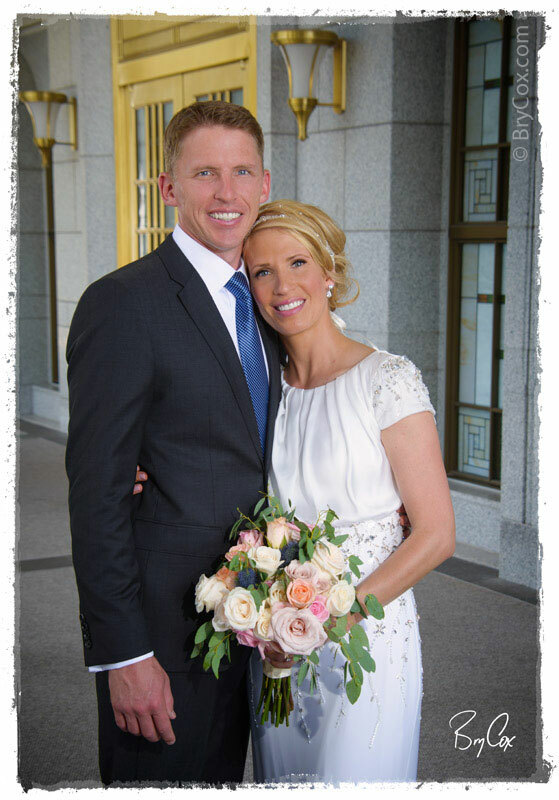 Sophie and Jeff had a beautiful wedding, and it is now up on my website. 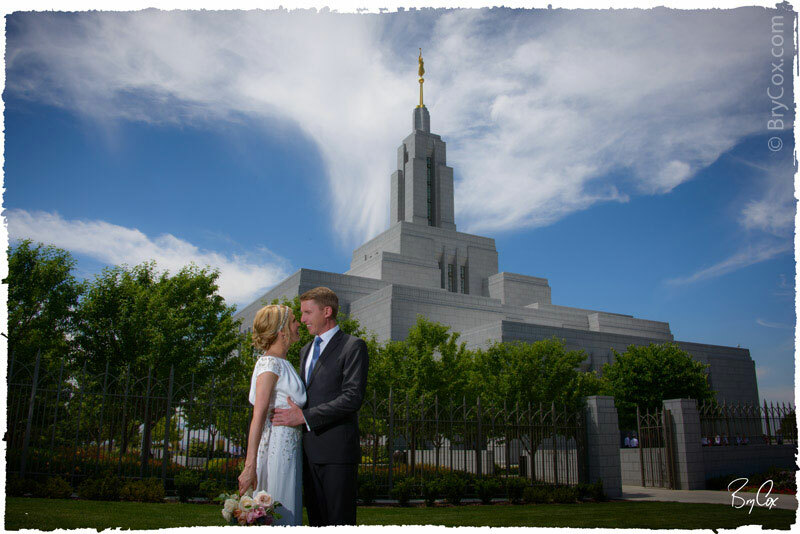 They got married in the Draper LDS temple and had their reception at the Garden Place at Heritage Park in Salt Lake City during the fall. I’ve created this show for their DVD, which includes some of the best images set to music. Their wedding was one of my favorites. The love between these two was very apparent, and their family and friends all showed their excitement for the marriage of these two. 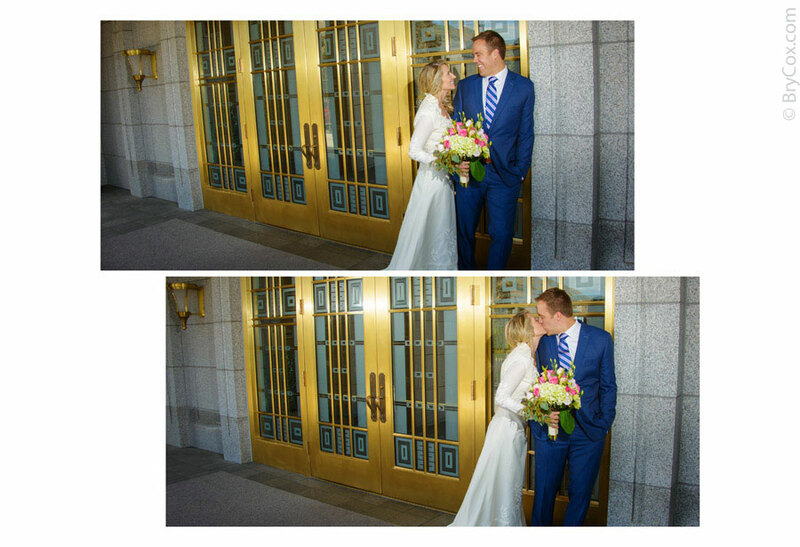 The strong emotions on that day made for a great set of images that made it hard to narrow down in creating their heirloom album design. On top of that, the couple was very attractive and the locations and weather were all wonderful. 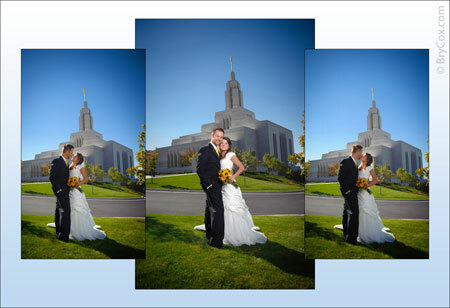 You can view their entire wedding album design on my main website and see every page. Here are some of the pages below, shown as double-page spreads. I hope you love their wedding video above, and check out their entire wedding at BryCox.com > Portfolio > Weddings > Wedding Albums > Draper. The other day I photographed Sophie’s wedding. I had originally posted her bridals on her wedding day, and I thought it’d be fun to post a few images from her wedding day as a sneak peak. 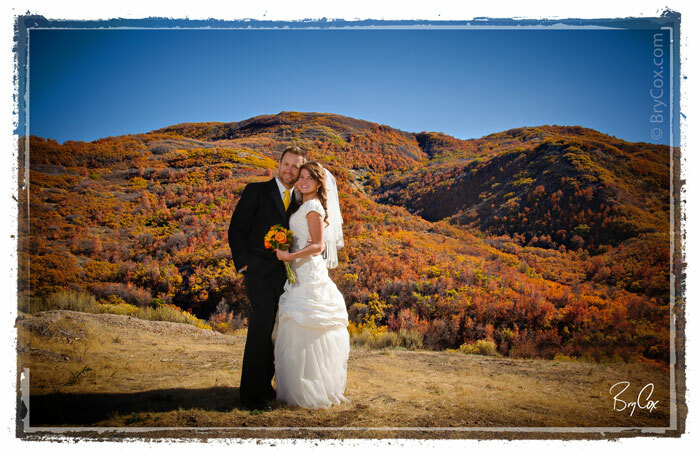 The weather was amazing, the sun was shining, the canyon wasn’t too windy, and the fall colors looked so inviting, that I took the couple off to do a few fall portraits. 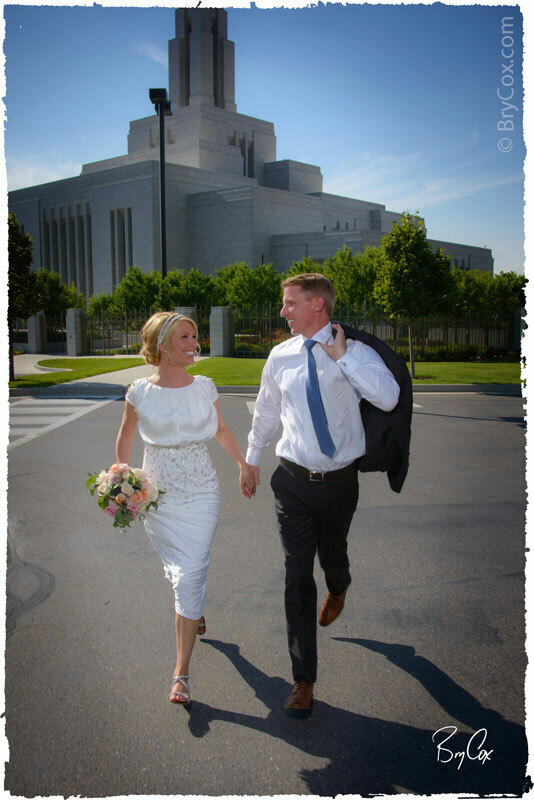 And here is one of them at the Draper temple, after the ceremony. Having such a bright and sunny day meant that I had to be extra careful and precise in how I lit this image. I really wanted a nice and vivid blue sky and I love how this final image looks. The leading lines all work so well, their expressions are great, they both look happy, relaxed, and the image is just inviting. As soon as I finish their album and design, I’ll post it here as well.